The geospatial information market has become larger and more interesting to the Information and Communications Technology (ICT) community, and also to the general public. As a result, our area of interest faces stronger competition from other disciplines. The number of scientific ISPRS meetings has risen, as has the number of meetings outside ISPRS that are relevant to our community. Scientific and technical progress has given rise to overlap in the topics covered by the different ISPRS commissions, resulting in a fragmentation of activities and increasing duplication of effort. During recent General Assemblies there has been only a limited number of Ordinary Members interested in hosting a Technical Commission. Council therefore feels that there is a need to explore the potential for a revision of the ISPRS commission structure with the aim of increasing the visibility and impact of our discipline and of our society. This can be best reached by focussing endeavours on the most important issues of the time, and by increasing the size and prominence of our scientific and technical meetings. This document presents the rationale for change, and makes a preliminary proposal for a revised ISPRS commission structure, together with an implementation plan and timetable. The overall goal is to better position our society as a relevant, vibrant and forward-looking organisation for the 21st Century. To enhance the attractiveness of hosting a Technical Commission for Ordinary Members and individuals acting as Technical Commission Presidents. In order to maximise multi-national participation in ISPRS, we further suggest the formal introduction of the position of a Vice-Technical Commission President (V-TCP), simultaneously encouraging the V-TCP to originate from an Ordinary Member different to that of the Technical Commission President (TCP). An additional possibility to engender involvement of Ordinary Members not hosting a Technical Commission, and scientists in such countries, is the introduction of Regional Meetings, in particular in areas far away from symposia venues. In this way it is anticipated that global participation of all ISPRS members will be enhanced. The proposed changes are to be discussed during 2014 and voted on by postal ballot in 2015. Assuming approval, this schedule provides Ordinary Members interested in hosting one of the (new) commissions for the period 2016-2020 sufficient time to formulate their ideas and develop their bids ahead of the XXIII ISPRS Congress and General Assembly in Prague in 2016. We are most interested in your opinion about this important development and cordially invite you to take part in this discussion. You may do so by sharing your comments on the blog, or by sending an e-mail to the Secretary General. The topic will also be discussed during the eight midterm symposia being held during 2014. The ISPRS Foundation agreed to allocate the sum of approximately €3000 for travel grants to deserving individuals to attend each of the eight ISPRS Symposia, and an additional €6000 for a summer school. Two grants were allocated to grantees to attend the ISPRS Technical Commission IV Symposium in Suzhou, China, and 5 grants for attendance at the ISPRS Technical Commission VI Symposium in Wuhan China. The deadline for the submission of applications for travel grants to attend the ISPRS Technical Commission V Symposium in Riva Italy has now passed with approximately 10 applications. The following deadlines apply for the submission of applications for travel grants for the remainder of the ISPRS Symposia in 2014. ISPRS is proud to announce Vision Map, http://www.visionmap.com/, as a new sustaining member of ISPRS. The Israeli company is a leader in digital mapping systems and has a long experience in the field of photogrammetry and digital aerial cameras. With an overwhelming majority the ISPRS Ordinary Members have voted for the introduction of Individual Membership. Nevertheless, ISPRS will remain a society of societies; the new membership category is primarily being introduced to give individuals in areas without active Ordinary Members the possibility to link to the ISPRS network. Individual membership in ISPRS is free of charge and is governed by Bylaw VI (7) and the new ISPRS Policy on Individual Membership. Anybody interested in ISPRS Individual Membership can submit an application here or contact his/her national ISPRS Ordinary Member. Best Paper Award 2013 for the ISPRS Journal of Photogrammetry and Remote Sensing announced. 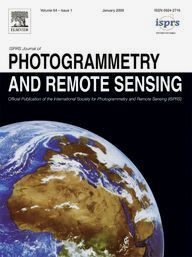 The 2013 Best Paper Award for the ISPRS Journal of Photogrammetry and remote Sensing has been announced. The paper is entitled "Urban accessibility diagnosis from mobile laser scanning data", the authors are Andrés Serna and Beatriz Marcotegui from Écoles Nationale Supérieure des Mines - ParisTech, in Paris, France. Along with the winners of the years 2012, 2014 and 2015, the paper will enter the competition for the ISPRS Helava Award, which is presented to the author of the most significant paper published in the ISPRS Journal between two Congresses, at the next ISPRS Congress in Prague. ISPRS has introduced a new biennial report. 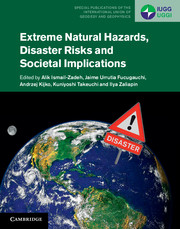 The first edition covers the years 2012 and 2013 and can be found here. Printed copies are available upon request from the Secretary General. The ISPRS Brochure for Awards to be presented at the 2016 Congress in Prague is now available - click here for details. All are cordially invited to nominate candidates for the various awards. During its recent annual meeting, ASPRS elected a new Council. Stewart Walker is the new ASPRS President, Lynn Usery the new President-Elect and Charles Toth the new Vice-president. For more details see http://www.asprs.org/Officers/Board-Officers.html and http://www.asprs.org/Press-Releases/Charles-Toth-elected-as-ASPRS-Vice-President.html. Hearty congratulations to ISPRS 1st Vice president Prof. Orhan Altan for having been appointed Guest Professor of Wuhan University from November 2013 to November 2016. Future Earth, the new 10-year global change research programme launched by ICSU, the International Council of Science, has just launched a new website. Besides offering latest research on global environmental change and up-to-date news from the Future Earth community, the site features a comprehensive overview of the initiative’s various research projects, and tells you how to get involved. The Future Earth blog, which continues to run, provides commentary and opinion articles on issues relating to the program’s research. Duchy, Kingdom, Part of a Monarchy and Republic in the region of the Czech Republic. The Czech Republic has passed through various political regimes since the 11th century A.D. The first one was the Duchy of Přemyslid dynasty, which lasted from the 10th century until 1198. Since 1029, when Moravia became a part of it, the area of the Czech Duchy was similar to the present Czech Republic. There were two individual Kings of Bohemia: Vratislav II (1085 – 1092) and his grandson Vladislav II (1152 – 1172). Přemysl Ottokar I, Duke of Bohemia, using diplomatic relations, managed to convince Philip of Swabia, elected King of the Romans, to recognize him as a hereditary king. Philip confirmed the existence of the Kingdom of Bohemia (Regnum Bohemiae in Latin) and Přemysl’s royal status. The Kingdom lasted officially till 1918 when it was changed to a republic – the Czechoslovak Republic. The Přemyslid Dynasty was replaced by the House of Luxembourg after the marriage of the last Přemyslid Dynasty daughter and John, Count of Luxembourg in 1306. From 1526, the kingdom was continuously ruled by the House of Habsburg and its successor, the house Habsburg-Lorraine. The Czechoslovak Republic = Czechoslovakia was founded 28 October 1918 as a result of European reorganisation of countries after the World War I. The first President and founder of the new republic, Tomáš Garrigues Masaryk, a university professor, was the representative of a democratic regime which was interrupted by World War II. Three years of democracy after WW II were ended by a communist putsch to establish a communist regime governed unofficially by the Soviet Union. The Velvet Revolution in November 1989 changed the communist regime republic to a democratic one. The first president of the new democratic era was Václav Havel. He was elected a president in December 1989. I am sending you the second call for papers of the 35th Asia Conference on Remote Sensing(ACRS) to be organized from 27 to 31, October 2014 in Nay Pyi Taw, Myanmar. As you may know, ACRS is one of the largest remote sensing conference in Asia. Last year, more than 1300 participants attended ACRS2013 organized in Bali, Indonesia. We welcome your active participation to ACRS2014. The pamphlet of ACRS2014 is attached herewith. The next AM/FM-GIS Belux seminar will focus on Earth observation services for national, regional and local authorities: how can they boost economic and employment development in your area? Save the date of June 3rd 2014 from 12 until 20:00 to join us at the premises of the Royal Military Academy in Brussels, Rue Hobbema 8. To attend the event, please register on the AM/FM-GIS Belux Website. Further details are available in the attached document. 2014 is the year of Midterm Symposia in ISPRS. In this issue of the eBulletin, we again present the complete list incl. all available dates for abstract and paper submission. While deadlines for some of the symposia have already passed, abstracts and full papers can still be submitted to others. Updated information of all Symposia can be found at www.isprs.org/society/midterm.aspx. McCarthy, Matthew J., Halls, Joanne N.
Ignatius, Amber R., Jones, John W.
Tran, Trung V., Julian, Jason P., de Beurs, Kirsten M.
Earth Observation services for local and regional public authorities, what are the perspectives for economic growth and job creation?